Mr. Napat Chareonkul, Managing Director of Lifestyle Group, TCC Land Asset World Estate, stated that the company expects 2 billion baht of returns or 11% growth from their eighth development projects, including ASIATIQUE The Riverfront, Gateway Ekamai, Pantip Plaza Pratunam, Pantip Plaza Ngamwongwan, Pantip Plaza Bangkapi, Pantip Plaza Chiangmai, Centerpoint of Siam Square and Box Space Ratchayothin. In 2017, the company expects a total of 2.3 billion baht or an increase of 15% from 2016. There are no plans for new developments in 2017. However, their existing malls will be upgraded to fulfil the demands of a modern consumer’s lifestyle. Pantip Plaza Bangkapi and Pantip Plaza Chiangmai will be upgraded next year and are scheduled to open by midyear of 2017. The rest of the budget will be used to develop the Gateway Bangsue and to expand ASIATIQUE The Riverfront and Box Space Sanphawut. The total capital expenditure for 2017 is budgeted at 2.2 billion baht. Mr. Napat Chareonkul explained his perspective on the future of Thailand’s retail business development over the next 5 years that there will be an increasing amount of retail business development in the Bangkok Metropolitan area. However, investment in other large cities in the country is also interesting due to their growth and an expansion of tourism will attract more investors. “Our 5 years plan for 2017-2021, we will focus on developing new projects in the Bangkok Metropolitan area, expanding under our five existing brands which include ASIATIQUE The Riverfront, Pantip, Gateway, Centerpoint of Siam Square, and Box Space. The company plans to develop 9 or 10 new projects, expecting a return of 4.8 billion baht in the next 5 years or an increase of 140% from present”, stated Mr. Napat Chareonkul. Mr. Manop Kumsawang, General Manager of ASIATIQUE The Riverfront stated that in the past, ASIATIQUE The Riverfront has successfully become one of Thailand’s popular tourist attractions. In 2016, ASIATIQUE received awards including the PEOPLE’S CHOICE AWARD THAILAND ‘Top Choice Shopping Area’ in 2016 by the Tourism Authority of Thailand (TAT) and the ‘Recreational Attraction Standard Excellent Level 2015- 2017’. This recognition, by the Ministry of Tourism and Sports, reflects our position as an excellent tourist attraction. 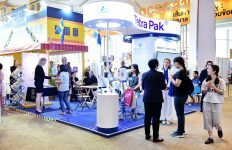 This year, we will be joining with over 400 leading tour companies in Thailand, TAT, Thailand Convention and Exhibition Bureau (TCEB), and The Association of Thai Travel Agents (ATTA) for an international roadshow. This is the main strategy to create awareness and strengthen Thailand’s tourism industry. Regarding developing retail stores, new shops and restaurants such as Miniso, Taikaenoi, Jinzhu Sharkfin, and Osha, each place has its own unique quality to attract visitors. At present, ASIATIQUE The Riverfront is considered as Thailand’s premier Chao Phraya riverside location which has gained popularity as a riverside tourist attraction. This was measured using hotel-room occupancy near the river, which increased to 80% from 35%. The types of tourists visiting ASIATIQUE are 40% Thai visitors and 60% foreign visitors, mainly from five countries in Asia, including Taiwan, China, Hong Kong, and Indonesia as well as from European countries. The average spending per person for Thai and foreign visitors are 1,500 baht and 2,000 baht respectively. “In the near future, we will develop new highlights such as recreating a royal vessel from the reign of King Rama V to park by ASIATIQUE’s pier. At present, it is a process of requesting permission and it will take around 18 months to construct. We plan to develop it into a floating fine dining restaurant offering visitors a new experience, which will be managed by Food of Asia. Furthermore, we also plan to expand the pier into 3 piers, which will be able to accommodate 2 yachts simultaneously and restaurants cruises. This expansion is expected to be finished in 2017. The completion will increase transportation and the amount of ASIATIQUE’s boats to match an increasing number of visitors. The plan is to upgrade 1,000 sq. m. of space into ‘High Street Zone’ in Soi 4 and to improve the style of product displays in Warehouse 7 and 8 to become ‘Urbano Zone’. Another plan is to develop ‘Beauty Zone’ in parking area 2 to create a central area which reflects a modern consumer’s lifestyle. These development plans have a budget of 150 million baht”, Mr. Manop Kumsawang added. ASIATIQUE The Riverfront will host iconic events throughout the year such as Songkran, Loy Kratong, New Year, Full Moon party and other events. In 2017, there will be a 5th year celebration of ASIATIQUE which is a key strategy to create awareness that ASIATIQUE has the capacity to host large events. The celebration will be held midyear 2017. Regarding end of year activities, Mr. Manop Kumsawang stated, this year we have budgeted for marketing campaigns to create awareness and stimulate tourism. Apart from our meeting with the Chao Phra ya Riverside Business Trade Association about the plan to maximize tourist visits, we collaborate with airline companies to co-promote campaigns. For example, we work with Thai Airways and Air Asia to offer their customers privileges. We also plan to expand our collaboration with other airlines in the future. Ms. Rajchapruke Ubonsri, General Manager of Gateway Ekamai stated that this year our mall offers new shops and services to match customer’s lifestyles. These include Tim Ho Wan, a Michelin Star Chinese restaurant from Hong Kong, Subling, a Korean-style dessert cafe, Manee Me More, a Thai-style Shabu restaurant, So Asean, an Asean style fusion restaurant, Food Street, a large food center, Flight Experience & Sky Venture, a flight learning center and simulator, One Piece Mugiwara Store Bangkok, a One Piece character licensed store from Japan, the only store in Thailand. Throughout 2016, we organized many events and had twice the amount of visitors visited compare to 2015. We will continue to create trends with our business partners in 2017. To celebrate the end of the year, we will host events to impress visitors such as Gunpla Builder World Cup November 23-27, 2016 on M floor, a competition to construct, color, modify, and create Model Kit Gunpla. Winners from each level will represent Thailand to compete in Japan against representatives from 13 countries. ‘Urban Hapiness @ Gateway Ekamai’ event will be held between December 1-31, 2016. This sales promotion campaign allows customers to trade the receipt into gifts and receive privileges throughout December. ‘Gift Story @ Gateway Ekamai’ event will be held between December 21-27, 2016 on M floor. At the event shops will offer various gifts to celebrate the New Year. “Regarding the high volume of pedestrian traffic, we plan to improve the mall throughout 2017 with new stores. These stores include Home Pro Living and its ‘Better Home Better Living’ concept. The store will be in a 1,200 sq. m. area on the first floor. It targets urban customers, offering inexpensive, functional, and modern home decors. Stanley Miniventure, the first 1:87 ratio miniature town in Thailand and the largest in Asia. This will be placed in a 1,000 sq. m. area on the second floor. Office Zone on the fifth floor will be developed into a 2,600 sq. m. area of rental office space. At present, 90% are occupied and will be completed in the second quarter of 2017. Bunka Fashion Academy, a fashion design and sewing institute will be in a 1,100 sq. m. area on the fifth floor. It is a network institute of Bunka Fashion College, the world famous institute from Japan. “In 2017, we will adapt merchandise and positioning to offer lifestyle solutions to customers. We will focus on combining customers’ necessary activities into one location to save their time. We will provide a variety of solutions to families and working people in Thong-Lor, Ekamai, Prakanong areas. The three strategies include 1. Fulfill happiness for the whole family 2. The everyday shopping mall destination 3. Improved awareness”, Ms. Rajchapruke Ubonsri concluded. 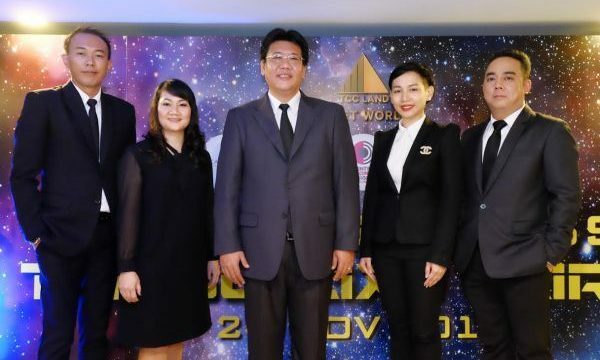 Mr. Veerarit Somboonsub, General Manager of Pantip Pratunam revealed that after changing the look, the amount of visitors increased over 50% compare to the same time last year. New businesses have shown interests in space rentals in all zones including the Gaming zone, Mobile zone, Startup, and Technology Lifestyle in the past three months. We also collaborate to host activities with our business partners, including Intel, Speed, Epson and other partners. This approach aims to develop Pantip E-Sport Arena Powered by Intel Managed by Speed and to host E-Sport competitions and develop new players. The industry of E-Sport has received great feedback from leading game companies and IT brands, which is demonstrated by the amount of competitions throughout Asia. The number of athletes, partners, and sponsors is expanding rapidly. Every week there are more matches organized by leading game companies. The Gaming zone occupies a 2,500 sq. m. area, the largest in the country. Newly launched gaming products are displayed in this zone, including Predator by Acer and Omen by HP. The Gaming Zone also combines products for true gamers such as Omen by HP, Lenovo, MSI, ASUS, Alienware, and Predator. There are leading gaming shops including Speed gaming, MINE Extreme, JIB Gaming, Jedi, and Neolution Shop. And leading gaming gear is also available including Razer, Steelseries, TT Sport, and Logitech. We are confident in this collaboration and our services for game lovers and people who want to enjoy new experiences. Apart from our outstanding gaming community, Pantip Pratunam has developed 400 sq. m. of space on the fourth floor to accommodate the Startup group. We also helped expand the Business Maker group by developing SynHub with Synergy Technology to offer Lab Electronic service to the Maker group and Partner Innovation, a business consulting service offering expertise in developing products, open to businesses and general people. 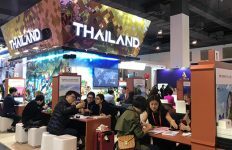 “From late 2016 to early 2017, Pantip Pratunam has collaborated with the partners to host a gaming competition among Asian countries. Winners from each country are chosen to compete in the final at Pantip E-Sport Arena. The tournament will be held during January 2017. The world class E-Sport athletes in this competition will inspire local athletes to learn and develop their skills to compete at the international level in the future. Events to promote sales such as ‘Mobile in trend 2016′ to enhance the customers’ awareness of our expertise in technology and IT services in the country at inexpensive prices”, Mr. Veerarit Somboonsub added. Regarding the business development strategy for 2017, Mr. Veerarit explained that in 2017 the mall will spend twice the amount on marketing campaigns to create awareness throughout the year. Space on the fourth floor will be co-developed with our partners to accommodate the ‘complete solution’ Banana Business which will provide a Smart Solution service in a space of 1,200 sq. m. This will serve as a platform for businesses that includes the Solution Set of coffee shop, hostel, office, and home. It will open early 2017. There is also a plan to develop 2,800 sq. m. of space to accommodate customers’ indoor and outdoor lifestyles such as high quality cameras and sport equipment technology. There is also a plan to expand the customer base, focusing on undergraduates by sponsoring U-league in universities. 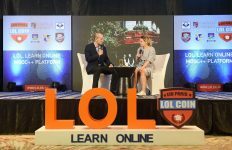 The U-league is found in 8 universities, It is a collaboration between technology business partners to lobby for computer clubs in universities to help E-Sports to be taken more seriously. This plan aims to develop the abilities of Thai youths to the international level. Pantip Membership aims to create a community for technology lovers to receive news, activities, privileges, and special promotions, offering specially to Pantip members only. To develop E-Sports and to create a strong gaming community, athletes will join matches in the Pantip E-Sport Arena powered by Intel. Events and activities will be offered to create new experiences to customers throughout the year. 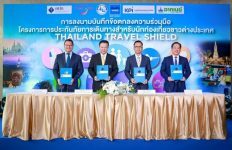 Marketing campaigns will promote to foreign visitors in conjunction with our partners including hotels in the area, Professional Tourist Guide Association, concierges, and TAT. Ms. Premin Lenoraset, General Manager of Centerpoint of Siam Square stated their goal for this year is to promote the Beauty & Fast Trend. At present, Centerpoint of Siam Square has become a central area for flagship beauty stores from Korea such as ETUDE HOUSE, LANEIGE, and INNISFREE. Furthermore, a launch of TRUE INCUBE: Your Start Up is on a 200 sq. m. lot, located on the fourth floor. TRUE recognizes Centerpoint of Siam Square as a meeting spot for youths. TRUE provides an opportunity for innovators to develop their ideas into real businesses. Some of these innovators can gain financial sponsorship to start up their businesses. “The Grand Sale events which offer discounted and trendy products, has increased traffic at Centerpoint of Siam Square. On average, there are 40,000 visitors on weekdays and 50,000 visitors during weekends. Most visitors are teenagers, working people, aged between 15-30 years old. There are also Asian and Middle eastern visitors as well”, explained Ms. Premin Lenoraset. We have a promotional campaign to thank our customers at the end of the year. Ms. Premin added that Centerpoint planned to host ‘Thank Sale 2016’ to show appreciation to customers for shopping and using services at Centerpoint of Siam Square throughout the year. Customers will receive special gifts every time they shop at stores which take part in the campaign. Throughout December, for every 500, 1,000, and 3,000 baht of money spent, customers will receive premium gifts while supplies last. Ms. Premin said that in 2017, we will launch new pop up stores and zones such as Bongousse, the only Korean rice burger in Thailand, which will open this November until early 2017. CENTERPOINT OF SIAM SQUARE FAST FASHION NATION is a fashion show event, which is a collaboration with Siam Square to create the longest runway in Siam Square. An outdoor zone ‘Center Space’ will be developed into an area for hipsters. ‘Photo spot’ is another new spot for teenagers. “Overall retail business in the center of the city must continue to develop and adapt to the modern consumers’ behavior. Retail stores at Siam Square show positive signs. Business opportunities in Siam Square can still turnaround”, concluded Ms. Premin Lenoraset.